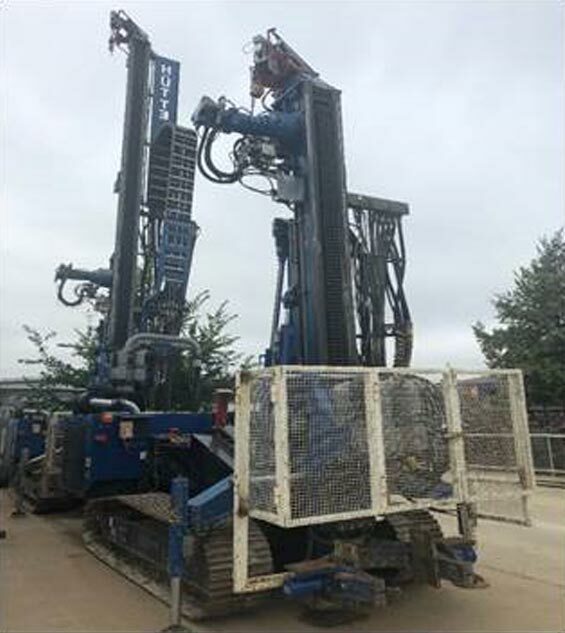 Recently returned from a 12 week project in Denmark after doing 450dia & 500dia piles in headroom of 7.5m drilling down to Max 10m. This machine is now available for hire. The long mast version as can be seen in the picture standing behind its smaller counterpart with a capacity of 8.2m of augers underneath the rotary head. Maximum diameter of 600mm and will drill to 28m. We also have a range of rigs, pumps, drums & augers available for hire. Our latest Atlas driven rig has arrived and is ready for hire or sale. Capacity 100mm to 320mm diameter mini driven piles using a maximum 1T Hammer. They have proved to be a very popular addition to the Colets fleet with various long term hires & 3 units sold in the first 9 months of production. 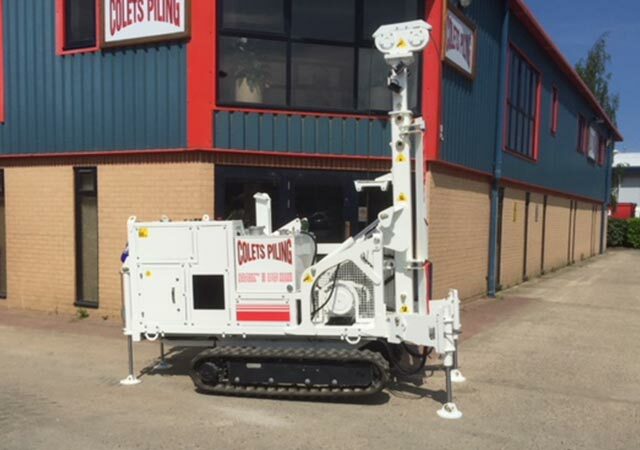 COLETS Piling are now the recognised dealers for Tes Car, MDT & IMT piling rigs, our website has a direct link to these manufacturers.